One fire's story: a collaborative, community-sourced, map-based multimedia exploration of how we experience wildland fire. As summer moves towards fall, fire season moves westward. This map shows wildland fires that burned during the 2017 fire season. The season was remarkable on a national level in terms of acreage and impacts, particularly in the South-Central US, the Northern Rockies, and the Great Basin. On October 8th and 9th, twenty-one major wildland fires broke out during severe fire weather conditions in Northern California, including the Tubbs, Nuns, and Atlas fires in the North Bay and wine country. These fires burned multiple homes and had significant impacts on many human lives. It was assumed that once contained, they would be the last major fires of the 2017 season. On December 4th, just before 6:26 pm, an ignition source met a receptive fuel bed near Thomas Aquinas college, off SR 150, the road that passes through the steep canyons and rugged mountains between Ojai and Santa Paula. A fire was reported, and the first arriving resource, a Ventura County Fire Department Type 3 Engine, named the emerging incident the Thomas Fire. Every wildland fire starts small, whether by spark, ember, or flame. By the numbers, most fires are contained quickly. However, on that night, the Thomas Fire exploded, driven by Santa Ana winds gusting to 60 mph. Initial Attack is a rapidly evolving environment for first responders. Though in a wind-driven fire of such speed, magnitude, and population proximity as the Thomas Fire, it becomes chaotic, where the first responders' primary mission is preserving life and safety, and incident managers work diligently to maintain personnel accountability, limit loss, and keep pace with planning, information, and decision-making. By morning on December 5th, estimates put the Thomas Fire over 50,000 acres, with 500 structures lost in the coastal city of Ventura, 1,000 firefighters on scene, and 0% containment. Growing up in the foothills of Santa Paula, CA, Fire Captain Tony Salas could see the county fire station from his home. So, growing up as a kid, he would see the fire trucks, hear the sirens, and pretend to put fires out using the family garden hose. He didn't know then that he would become a firefighter, but after 35 years with the Ventura County Fire Department, when the opportunity came about to work back in his hometown of Santa Paula, it felt as though his career was coming full circle. On December 3rd, 2017, the day before the Thomas Fire ignited, Captain Salas was off duty but got a call to come into work the following day. During that call, he was given several choices of stations he could work, and the place he chose was Station 20, outside his hometown of Santa Paula. He didn't realize it at the time, but that simple decision determined his role as initial attack Captain on what was to become—at the time—the largest wildland fire in California history. Though occasionally strong, localized wind events—known as Santa Ana's and Sundowners—are common in Ventura and Santa Barbara Counties during late fall and winter, this map shows wind speed and patterns during normal, everyday fall/winter conditions. On December 4th, however, Santa Ana and Sundowner wind events coincided to drive the spread of the Thomas Fire. By December 5th, firefighters saw sustained winds of 35–45 mph, with gusts up to 70 mph. These wind events continued off and on for more than two weeks. Defying containment efforts and driven by unrelenting winds, the fire easily traveled across drainages, fuel breaks, containment lines, and through residential areas. Within the first five days of ignition, the Thomas Fire had grown to approximately 155,000 acres and, at one point, was estimated to be growing in excess of one acre per second. The fire was said to have been generating its own weather during this time, resulting in large pyrocumulus clouds that made firefighting efforts difficult and hazardous. Throw a wildfire—nature combusting at speed—into a populated, developed area, and the complexity of the incident—the chaos—compounds rapidly with the values at risk: lives, property, infrastructure. By the end, the Thomas Fire had caused the evacuation of more than 104,000 residents and had destroyed 1,063 structures. As an avid outdoorsman and former volunteer with the Sheriff Department's Search and Rescue unit (for 20 years), Jeff D. Muth stays abreast of what's happening in the greater Ojai, CA area. So, he had been monitoring the Thomas Fire from the start. Though he witnessed the fire make some impressive runs during the day, he believed it would stay a distance away from his house for quite some time. That evening, however, he was home eating dinner when a neighbor called to warn him about the proximity of the fire. Compelled to walk out the front door and take a look for himself, he understood that he and his wife needed to leave immediately. Jeff knew he had an acre of bare land, surrounded by recently mowed grass, that his horses use and that he could take his trailer and cars to if they needed to wait out the fire. Knowing that it would be smoky, but survivable, he chose to retreat to that location. Ultimately, the fire came within about a quarter mile of his home. Jeff, a talented hobbyist photographer, was able to photograph a few images that night and several more in the days to come, capturing the sights and emotions that many Ojai residents experienced during the Thomas Fire. For more of Jeff's photographs, visit his Flickr account here. The Thomas Fire was declared 100% contained on January 12th, 2018, a total duration of 40 days; more than 8,500 personnel were mobilized in the firefighting effort. These images, primarily curated from professional photographers assigned to the fire, help portray the fire environment and the unique experiences of wildland firefighters who responded to the incident. Storytelling and oral histories are a poignant way to convey unique and personal individual viewpoints; a collection of multiple histories of an incident can help paint a picture. In this case, the following videos provide a sense of perspective as emergency responders in various roles recount their own experiences on the Thomas Fire. 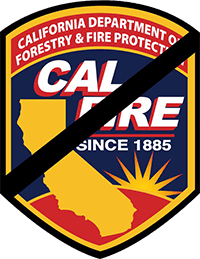 Cory Iverson, 32, lost his life on December 14th, 2017, while actively engaged in suppressing spot fires near the town of Fillmore. He became entrapped by tall brush and was unable to retreat to his safety zone. Losing someone in the wildland fire community has a ripple effect of sorts. It immediately hits the family and their crew. Then it makes its way to everyone that person has ever worked with, including supervisors, colleagues, and acquaintances. It makes its way to the entire fire community, which feels the pain together, and absorbs what impact it can, pausing to consider what it would be like if it were any one of them. Cory is survived by his wife, Ashley, and daughters Evie and Taylor. Our deepest condolences go out to them. Virginia Pesola, 70, also lost her life in a vehicle accident during evacuation procedures. She was a retired attorney, a mother figure to several nieces and nephews, and will be missed. The Thomas Fire, with 281,983 total acres burned, was notable on many fronts, from human and ecological impact to size and scale. This map showing the full fire growth reveals the complexities of the fire environment, illustrates firefighting challenges and tactics, and showcases the enormous effort of firefighters to contain this historic incident. Before the Thomas Fire was even fully contained, on January 8th and 9th, 2018, a strong low-pressure system and cold front made landfall and more than four inches of rain was recorded. At approximately 3:30 a.m. on January 9th, an estimated 0.5 inches of rain fell within a 5-minute period in and around the coastal community of Montecito, just east of Santa Barbara. Due to the high-severity fire behavior in the hills above the community, loose soils and absence of surface vegetation were expected to cause mudslides and debris flows. Though an evacuation notice for many of the areas in danger of debris flows was released prior to the weather event, many residents either did not get the message or ignored warnings and stayed in their homes, in part due to fatigue caused by multiple evacuations over the course of the fire. Almost immediately, a wall of mud, boulders, and other debris up to 15 ft in height and flowing at speeds of up to 20 mph surged through creek beds and valleys in Montecito. The debris flow caused 23 deaths and more than 150 injuries. Over 100 homes were destroyed and approximately 300 were damaged. These images depict the aftermath of the Montecito debris flows, illustrating the sheer force of the water, mud, and rubble coming off the hillsides. They provide a sobering awareness of the reality faced by those affected. House torn in half with bookshelf still intact. Photo used with permission by Montecito FD. View of mud and debris from front door. Photo used with permission by Montecito FD. The remains of a house lodged in a tree after the debris flow. Photo used with permission by Montecito FD. Mud throughout first story of home. Photo used with permission by Montecito FD. Woody Enos, Operations Chief for the Santa Barbara County Fire Department, performed as an incident commander during the Montecito debris flows on January 9th, 2018. Even with 30 years of experience as a firefighter with the Santa Barbara County Fire Department, Enos faced unprecedented challenges during the event that claimed 23 lives and impacted thousands of people in the town of Montecito, CA and beyond. In a county that sees only an average of 13 inches of rain per year (and had been in an extended five-year drought), the unprecedented half–inch of rain that fell over the recently denuded fire area—in a short five-minute span of time—wreaked havoc in a way no one could have predicted. In these oral history segments, Chief Enos talks about the planning process that led up to the incident response, the challenges they faced, the successes they earned, the heroic efforts by first responders, and the human impacts that followed. Carole Bennett has been a Montecito resident for nearly 20 years; she and her husband chose to defy evacuation orders for the rainstorm, fearing if they left, they wouldn't be allowed to come back home when they wanted. On the night of January 9th, 2018, she and her husband were awoken in the early morning hours by a bright flash of light. She recalls that even though it was raining heavily, the glow—from what they presumed was an explosion—lit up the entire night sky. Even so, they went back to bed unaware that just a short distance away, the hillsides were sliding down and destroying homes and lives. The following day, Carole went about her morning, as usual, eventually driving down the street only to realize that the road was impassable just around the corner from her house—rocks, boulders, mud, and debris obstructed the route. One day later, she and her husband ventured out for a drive and filmed this short clip—it conveys Carole's disbelief as she and her husband begin to realize the full scale of the disaster. Firefighters and other first responders tasked with triage and scene stabilization often find themselves trying to provide order to chaos. The following oral history segments provide insight into their experiences. The following is a list of those who lost their lives in the Montecito Debris Flow. Our greatest sympathy and deepest condolences go out to the families who survive them. The Thomas Fire and the subsequent Montecito Debris Flows, impacted tens of thousands of lives, resulted in billions of dollars of damages, and caused tremendous disruption throughout the human communities in the greater fire area. As is so often the case in areas where many lives are irrevocably changed by natural events, communities drew together to find ways to take care of one another. While #VenturaStrong, #OjaiStrong, and #MontecitoStrong became proud rally cries embodying a spirit of community resilience, quiet efforts of self-healing and personal recovery began to emerge in various ways, including through art. Compelled to create a book showcasing the artwork, writing, poetry, photography, and stories coming from the community of Ojai, two women, Elizabeth Rose and Deva Temple, worked together to collect more than 45 oral histories, 900 photographs, and dozens of written works. From these, they curated a stunning selection of imagery and human experience reflecting how one community experienced and recovered from the fire. All net proceeds from the sale of ​their book, From the Fire: Ojai Reflects on the Thomas Fire, go to the Greater Goods Relief Fund. California has been shaped by fire for many thousands of years. As a result, many of our ecosystems have come to depend on fire to thrive, and arguably few so clearly as chaparral. Chaparral is adapted to infrequent fire, but many species within encourage stand-replacing intensities by holding flammable resins in their leaves. Shrubs resprout after fire from the roots or have seeds that require fire to germinate a new population. Nutrients returned to the soil spur spectacular and vast blooms of native wildflowers, many species of which are rare or even fire-dependent themselves. While the Thomas Fire undoubtedly had many tragic effects on human communities, it also brought fresh growth, rejuvenation, and renewed beauty to much of the natural landscapes through which it burned, including the remarkable sprays of arroyo lupine and California brittlebrush captured in the photos here. Curated from social media posts, these images depict various citizen and first responder experiences and perspectives during the Thomas Fire. While not a complete picture of the events that took place during the incident, it is a rich digital representation of how we—as a public—experience wildland fire. Who is The American Wildfire Experience? The American Wildfire Experience (AWE) is a small non-profit rooted in understanding, examining, and telling the story of wildland fire. Through multimedia storytelling, oral histories, and other projects and initiatives, AWE works to facilitate dialogue, communication, and education around the challenges and opportunities of our current wildland fire situation in the United States. We believe that sharing scientific data and knowledge tied together with human experience is the best way to tell the story of wildland fire and to have an impact on the way in which wildland fire burns across both our social and ecological landscapes. AWE is excited to announce the launch of our inaugural Wildland Fire Digital Storytelling Micro-Grants alongside this Thomas Fire project. Open to individuals working in the wildland firefighting industry, we are offering five (5) $500 micro-grants to wildland firefighter photographers, videographers, and writers with intent on telling the story of their wildland fire experience during the coming 2019 fire season. The application period runs from December 4, 2018 to January 12, 2019 (spanning the anniversary of the initial attack through containment of the Thomas Fire). Visit Wildfire-Experience.org to apply. The American Wildfire Experience would like to express our sincerest "thanks" to those who helped make this project possible. The content of the Thomas Fire story was community-sourced from an array of supporters and participants, including firefighters from Ventura County, Santa Barbara County, and Montecito Fire Departments; photographers Kari Greer, Stuart Palley, Steve Whitby, Nathan Wickstrom, and Jeff D. Muth; videographer Ian Hannah from Prod 5 Films; Instagram participants and contributors across the board; The Smokey Generation fans and supporters who contributed on social media and have been supporting our oral history project for years; Gage Cartographics; MYSTERY RANCH; and, AWE board members Roy Miller, Sasha Berleman, Brian Tai, Peter Carpenter, Joe Hannah, Marshall Brown, and Bethany Hannah. MYSTERY RANCH, LTD does not necessarily endorse, support, sanction, encourage, verify or agree with the comments, opinions, or statements discussed or posted on www.mysteryranch.com/thomas-fire and all associated content and media for the MYSTERY RANCH Thomas Fire Campaign. Any information or material placed on www.mysteryranch.com/thomas-fire, including advice and opinions, are the views and responsibility of those making the comments and do not necessarily represent the views of MYSTERY RANCH, LTD or its affiliates. By viewing www.mysteryranch.com/thomas-fire or posting comments, you agree that MYSTERY RANCH, LTD and its affiliates are not responsible, and shall have no liability to you, with respect to any information or materials posted by others, including defamatory, offensive or illicit material.